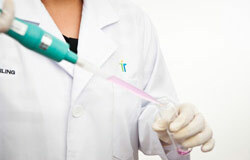 Laboratory | Trienekens (Sarawak) Sdn. Bhd. 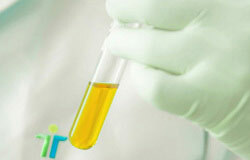 KIWMP’s full-service laboratory is capable of analysing a wide range of wastewater parameters. Wastewater samples are collected daily from various sampling points and are analysed to check their compliance with the various regulations and standards. With equipment ranging from simple bench-top pH meters to complex spectrometers such as the Atomic Absorption Spectrometer (AAS), the laboratory has the capability to carry out tests related to water and wastewater. 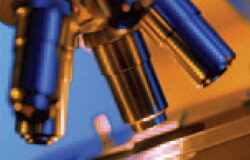 The laboratory’s personnel has full instrumentation capabilities, providing quality analytical data which follow methods set forth in EPA methods for Water and Wastewater, APHA (American Public Health Association) Standard Methods for the Examination of Water and Wastewater, ASTM (American Society for Testing and Materials) analytical methods as well as DIN (German Institute for Standardisation) methods. The laboratory is also certified with ISO/IEC 17025. Trienekens’ laboratory was set up intent on moderating all treatment processes and effluent quality at KIWMP, consequently fulfilling obligatory legal requirements. Apart from internal monitoring, compliance monitoring is also administered by appointed certified third party labs on a quarterly basis.